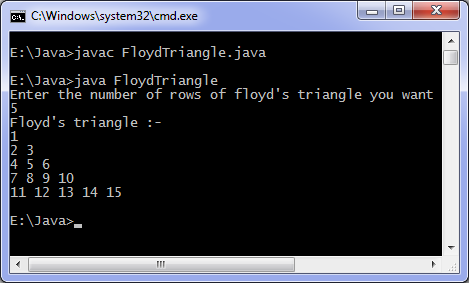 In Floyd triangle there are n integers in the nth row and a total of (n(n+1))/2 integers in n rows. This is a simple pattern to print but helpful in learning how to create other patterns. Key to develop pattern is using nested loops appropriately.